Is EU red tape making it harder to do business? What exactly is “red tape”? We often hear that the EU has “too much red tape” but what does that actually mean? The term is one of those quirky English idioms, expressing the idea of overbearing bureaucracy and inflexible government regulation. Nobody believes businesses are literally being wrapped up in red tape by bureaucrats from Brussels. Instead, the phrase conveys the sense that pointless European rules are strangling free enterprise. So, is red tape always bad? The quickest way reduce the regulatory burden on businesses would be to scrap worker rights, slash environmental standards, and chuck out consumer protection rules. Needless to say, voters actually quite like worker rights; they like a clean environment; and they like being protected from faulty or dangerous products. So, who determines which rules are “red tape” and which are worth keeping? To get a response, we put Lubomir’s comment tot Alexander Stubb, the former Prime Minister of Finland, when we spoke to him at the State of Europe roundtable in Brussels (organised by the think tank Friends of Europe). What would he say? We also had a similar comment from Paul from the UK, who argues that “the EU needs to seriously reduce all the petty and pointless red tape which costs businesses billions and prevents them employing more workers”. Is this something that Brexit could achieve? A bonfire of red tape? 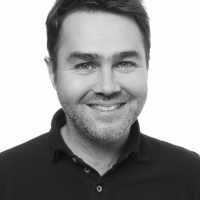 To get a response, we put Paul’s comment to Frédéric Mazzella, the founder and President of BlaBlaCar (and one of Friends of Europe’s European Young Leaders). What would he say? Yes, red tape is something that slows down businesses, and that’s why we want to create a European [“level playing field”] in order to unify all the rules in the same geographical area. Which is why Brexit is not good news, in that sense, because what we really want to do is create a harmonised and large geographic area where business is conducted the same way. So, the best way to reduce red tape is to grow the level playing field and create a real European [Single Market]. And I would say that if Paul has the occasion in the coming months or years – and I don’t know if this is going to happen – to vote again or do anything that will bring the UK back into the EU, then that’s the solution to being more efficient. For another perspective, we also put Paul’s comment to Kati Levoranta, CEO of Rovio Entertainment Corporation, a Finnish video game developer best-known for the successful Angry Birds franchise. What would she say to Paul? Is EU red tape making it harder to do business? Is the European Single Market over-regulated? Or are these regulations in fact vital for the protection of worker rights, environmental standards, and consumer safety? Let us know your thoughts and comments in the form below and we’ll take them to policymakers and experts for their reactions! It’s not that bad. I think it’s more the member states that suffer from overregulation at times, or at least overcomplication. As long as it’s not easy to open a business in Europe we are doomed to lag behind in innovation. Instead visualizing and putting “red tape” under the so revered EU/DE/EUI wordsmith’s microscope, the relevant EU politicians might be better served to look at the broad(er) economic picture (only)- not chasing so many other temptations simultaneously- like the political, fiscal, social and military ones! Congestion’s after congestion! The EU/DE can use as many km’s of red insulation tape as they have- around an unworkable concept- such “red tape” will never be enough to contain the fight for the UN’s enshrined right to self determination & keeping ones sovereignty! What factors are really impeding greater economic growth within the EU concept? Is it really the natty gritty of pedantic over prescription, strangulating regulations reaching the smallest details- hindering remarkable economic growth in the EU27 and all of Europe’s 49 nations? Or, is it a loss of purpose by forgetting to concentrate on the European economy as the most important and primary EU function (as was the original EEC intent) in favor of rabid destruction of the European nationhood & sovereignty to pave the way for a distant and Utopian European unitary state- regardless the damage, time & cost to all today & in future? Maybe a rethink to consider a new EU vision is the easier & better option- instead remaining stuck in the EU/DE/EUI wordsmith’s lab and follow a one way street leading to frustration & nowhere! I think it is not red tape. It is European culture that has affected the work culture/attitude. The problem is that for small companies costs to meet regulation might be too much so it would automatically encourage monopoly. Brussels, ie the EU, issue an advisory regulation, then each individual country decides how it will be implemented in their countries. Over regulated by the Burocracy. People pursue self-interest, business pursue profit…If people cannot regulate themselves, it is the public particularly those vulnerable groups have to suffer. Some sort of regulation from a third party i.e. the government is required. Including e cigarettes in the TPD was and is a stupid idea. Market authorizations in one country should be valid for every other country if there is truly a single market, as things stand, in the case of pharmaceuticals, one must register the product in each single country’s authority at great cost instead of having instant access to the whole market like in America. A federal-like European authority overseeing market authorizations would be a sweet deal. Wtf are these idiotic debates? Ofcourse it makes business harder. But thats the point because it makes it fairer. 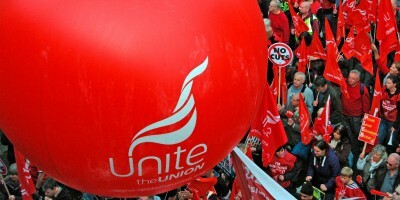 Should trade unions support labour market reforms? How can we make sure the economy creates decent jobs?